Antibodies, and many of the other molecules used in the immune system, have a distinctive shape. Typically, they are composed of several flexible arms with binding sites at the end of each one. This make perfect sense: since antibodies do not know in advance what attackers they might be fighting, they keep their options open. The flexible arms allow the binding sites to work together, grabbing with both arms onto targets with different overall shapes. 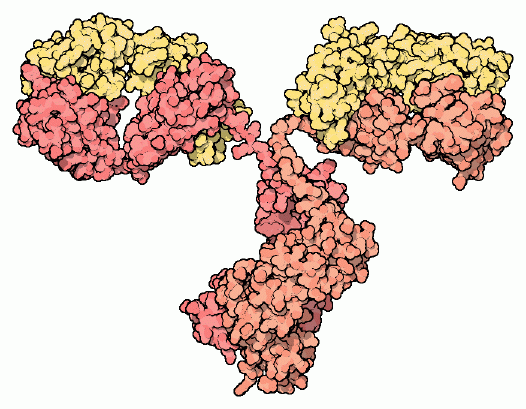 The antibody shown has two binding sites at the tips of the two arms extending right and left. Notice the thin, flexible chains that connect these arms to the central domain at the bottom. Some antibodies have longer flexible linkers connecting the arms together, allowing them even more latitude when finding purchase on a surface. 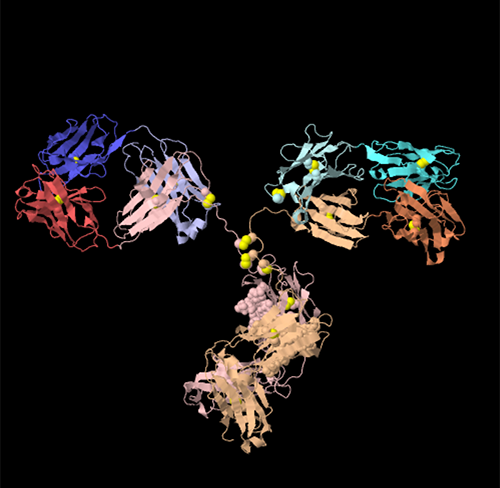 Other antibodies have four or ten binding sites, so each contact can be weaker and still allow the whole antibody to bind firmly. 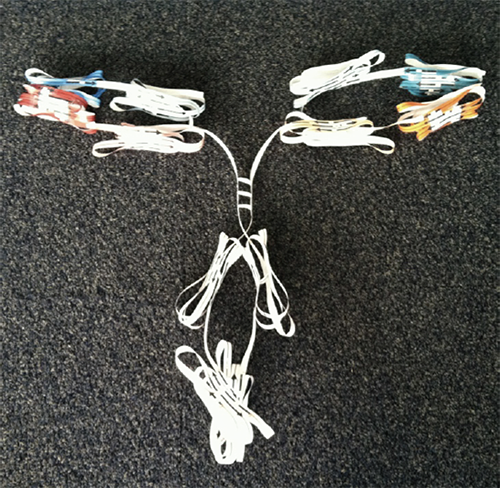 To build this paper model of Antibody, download and print the template PDF. Instructions for cutting and assembling are included. Use the PDB-101 Browser to explore more resources and articles about the immune system.